Saab began as developers of airplanes. After World War II, it was obvious that air transportation might not become commercially viable for decades. Saab began looking for an alternative product. After considering household appliances and prefabricated homes, the company decided to stay in the transport sector. 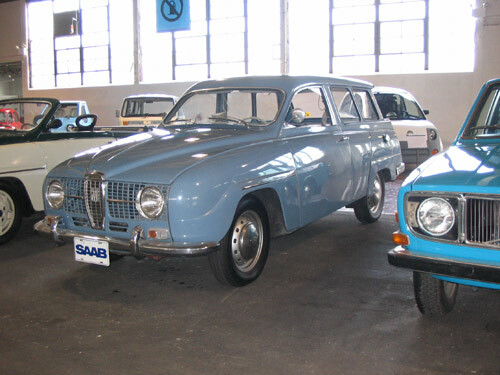 The Saab 92 became their first car produced (the previous 91 design projects were airplanes). The Saab 95 is a station wagon built on the Saab 93 platform (you can find an example in the competition car area). The coach body has front hinged doors as compared to the “suicide” doors on the Saab 93.